Over the weekend came the sad news that PreSonus CTO Bob Tudor passed away after a long battle with cancer, and the audio manufacturing community mourns. 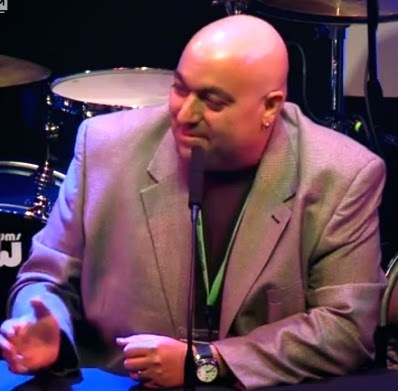 Many of you aren't aware of Bob and you should be, because he's so influential in digital console and recorder design and development, having a major hand in the Mackie and PreSonus StudioLive consoles as well as the Tascam US-2400 control surface and X-48 hard-disk recorder and various digital products for QSC, Samson, MAudio, Shure, Alesis, Gibson, Fender and more. His products garnered 5 TEC awards, 5 MIPA awards, as well as many others. Bob wasn't just an electronics boffin though, he was an accomplished recording engineer and keyboard player as well, working with everyone from Peter Wolf/J. Geils Band to Extreme to Aimee Mann to Billy Idol, among others. What I remember most about Bob was a conversation we had about a year ago when I was at the factory getting some background information while I was writing the PreSonus StudioLive Handbook. "Cancer was the best thing that ever happened to me," he said during a private moment in his office. I looked at him rather incredulous that something so terrible could be looked at in that light, but he went on to explain, "It caused me to look at my life in a different way and to see what actually is important, and what isn't." Bob continued, "If it wasn't for cancer, I wouldn't have met the love of my life, and whatever time I've had with her makes it completely worth it." He was totally at peace with himself and his lot in life. Not many of us can say the same. So long, Bob. Thanks for the great products. We're gonna to miss you.